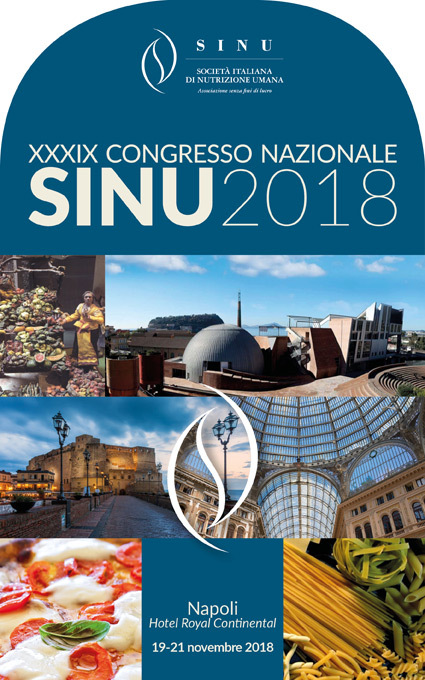 VALID Team was present at the XXXIX Conference of the Italian Society of Human Nutrition (SINU) – in Naples on 19-21 November 2018 with an oral presentation showing the last data emerged from the joint interpretation of the data between Ulster Team and Parma team. 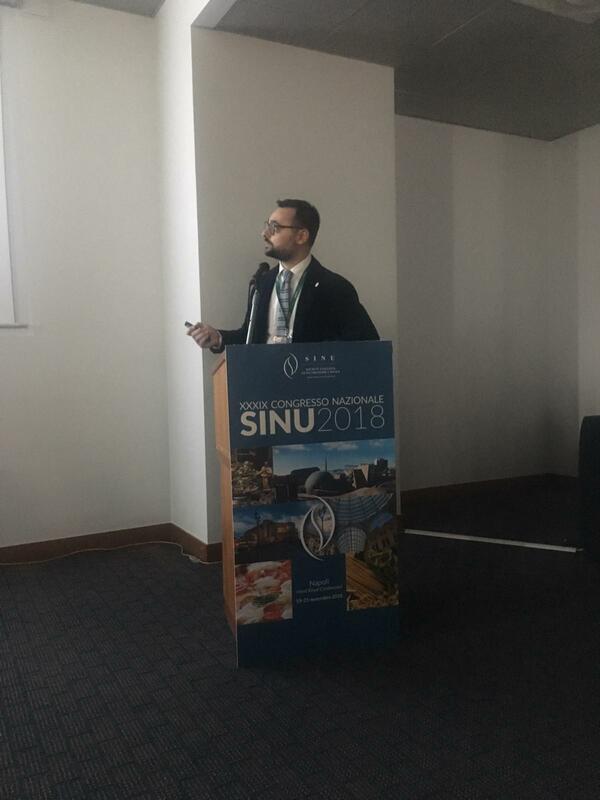 Donato Angelino was selected as speaker by the Board and the VALID communication was done in the frame of the session “Clinical studies for the prevention and therapy of diet-related diseases”. 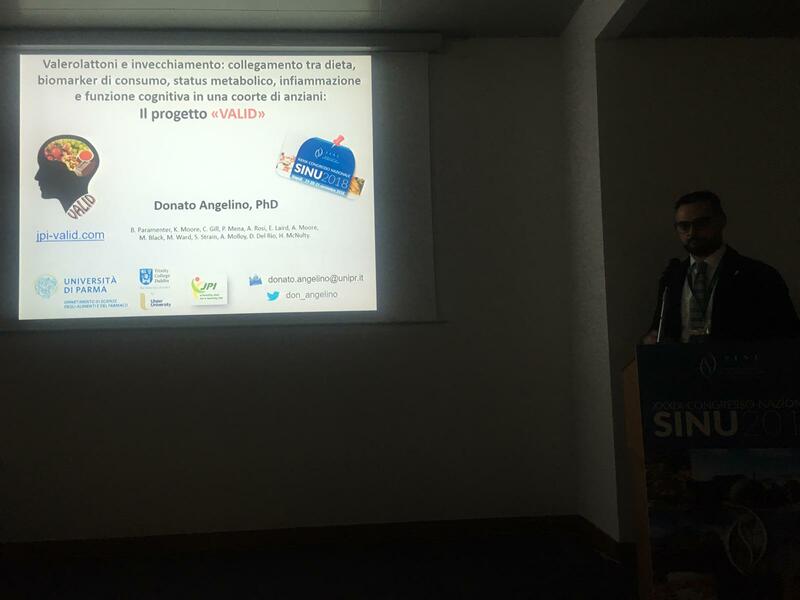 The presentation revealed the last available data on WP1, WP2, WP3. The presentation, of 7 min, was awarded as the best oral communication of the Meeting! 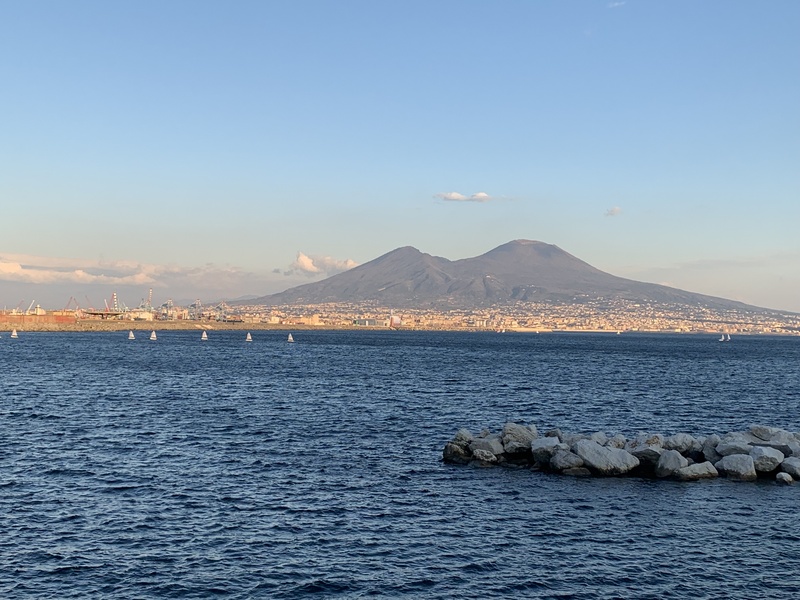 The magnificent location of the Congress, in Naples.